This action provides an interface to Wise for Windows Installer versions 3, 4 and 5. 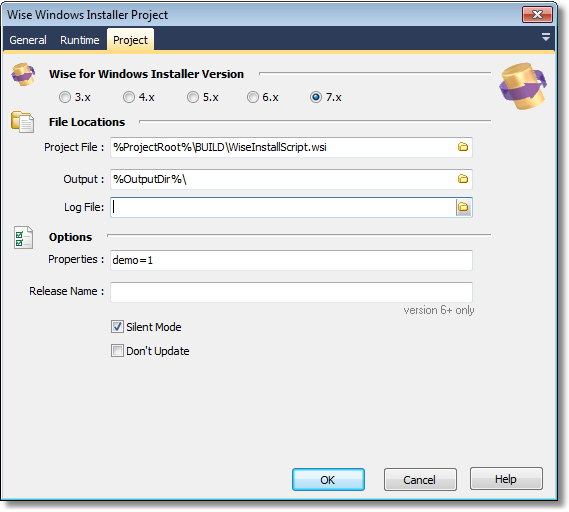 For newer versions of Wise, see the Wise InstallBuilder/InstallMaster action. Output Directory : Output File Path.